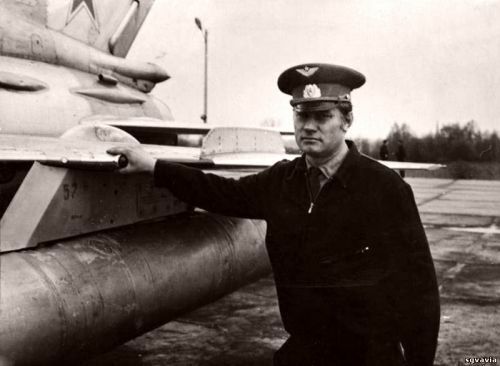 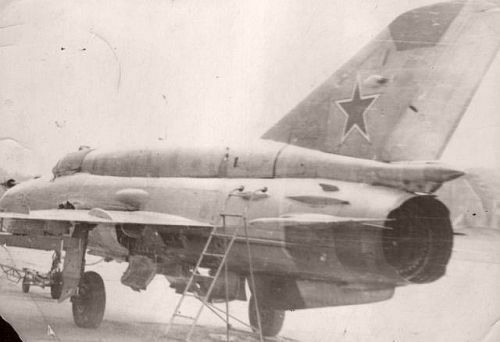 The 582nd Fighter Air Regiment received the first MiG-21SMT Fishbed-K type in 1973. 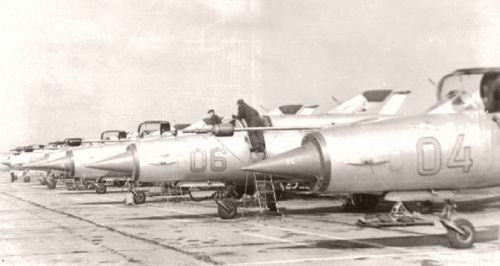 The MiG-21SMT Fishbed-Ks produced between 1972 and 1973 by GAZ-21 in Gorkii replaced the original big spine to smaller saddle tank variant. 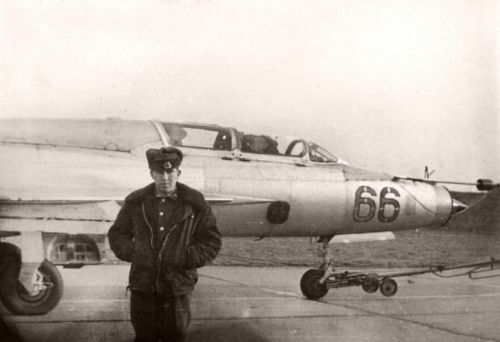 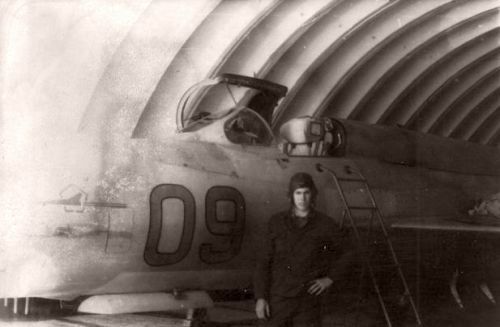 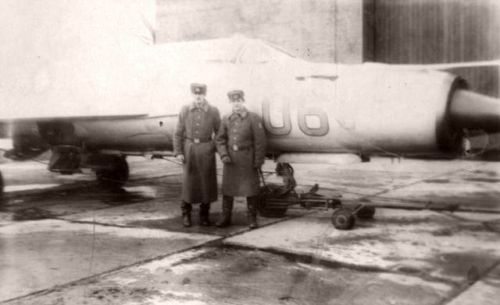 The 582nd regiment used both (Izdeliye 50 and Izdeliye 50bis) SMT sub-variants with MiG-21UM Mongol-B and MiG-15UTI Midget trainer aircraft in the seventies. 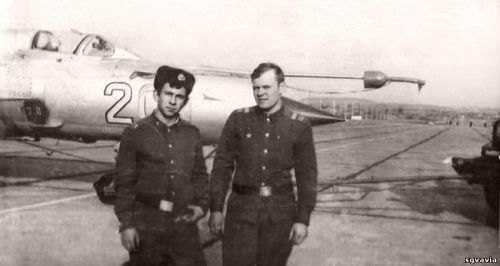 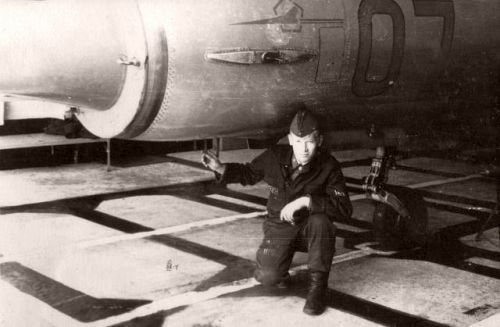 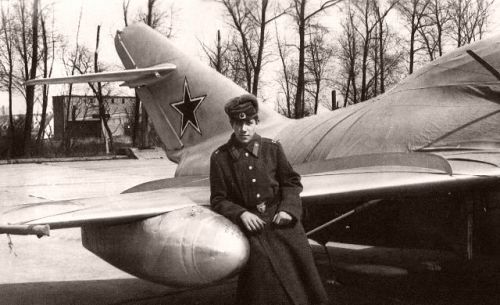 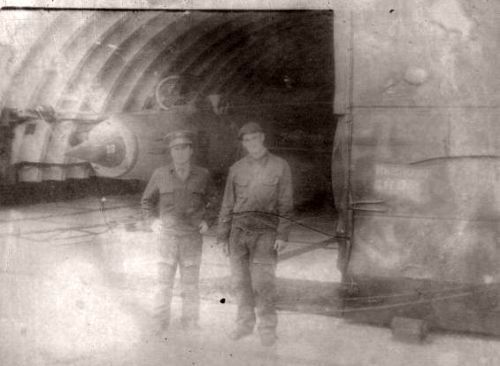 The 582nd regiment used MiG-21SMT Fishbed-K type for 19 years.